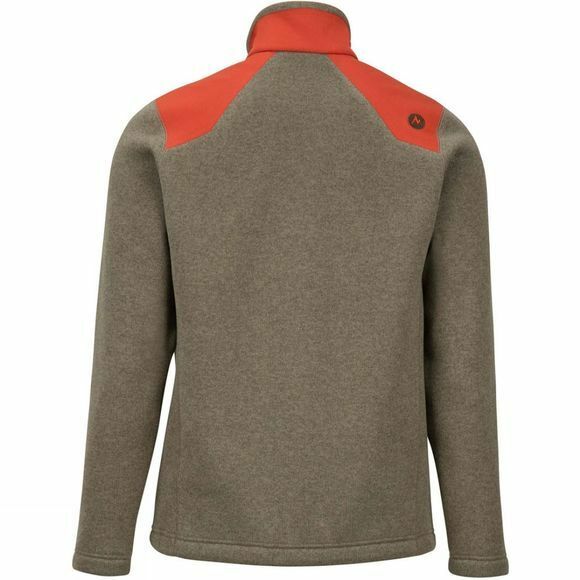 This rugged technical sweater fleece is built for outdoor life. 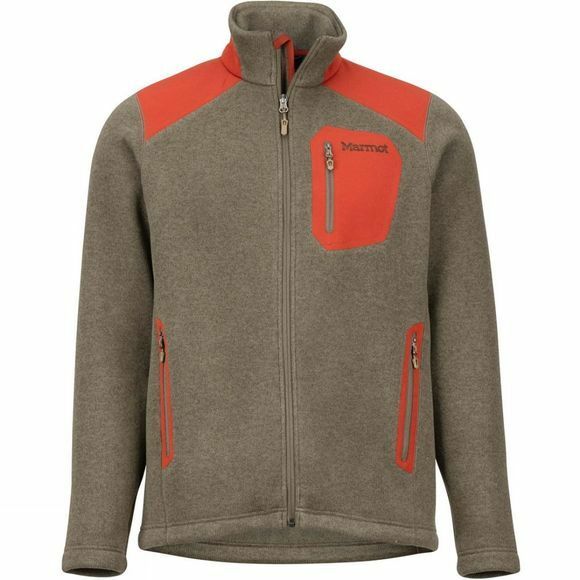 The Men's Wrangell Jacket's handsome sweater knit fleece fabric is warm and easy-wearing. Durable nylon reinforcements on the jacket's collar, shoulders and other key areas offer protection against elements and wear. Zipped chest pocket and handwarmer pockets hold treasures; elastic draw cord hem keeps out northerly winds.